Put the suit jacket on, it's time!! Good morning starshine, the Earth says: Hello! Fortnite update v6.22 is already here, less than a week after the arrival of v6.21. As one might expect from such a small interim, today's update is on the small side, with the only real surprise being a limited time mode based on the Battle Royale version of Fortnitemares. That NFL stuff is contained in this patch, even if it doesn't hit the store until Friday, and Save the World folk can start working on the second part of their Fortnitemares event. Peep the full patch notes below, and check back later today for our breakdown of what matters! And don't forget to go vote!! 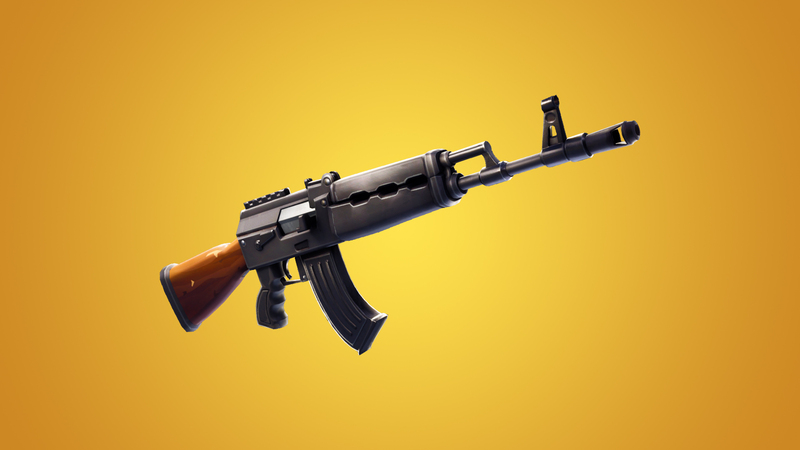 A brand new weapon and Limited Time Mode debut in Battle Royale! 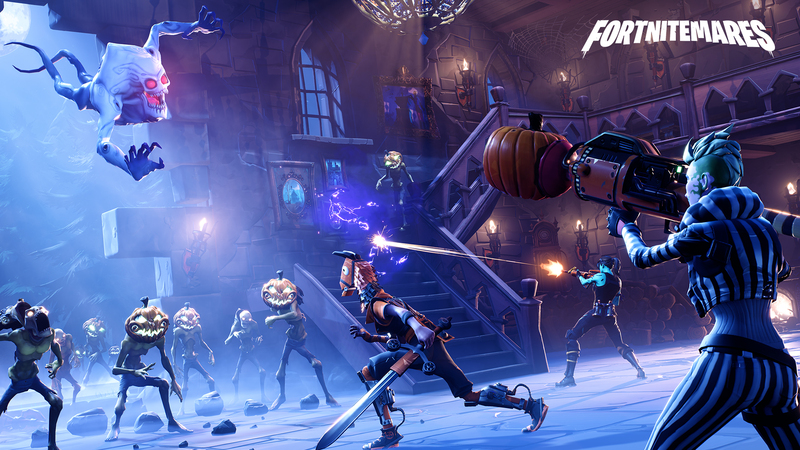 Fortnitemares has come to an end in Battle Royale but the storyline continues in Save the World. Jump in and explore Fortnitemares Part 2. This weapon packs a punch! Carry your team with the brand new Heavy Assault Rifle. Two teams battle it out while Cube Monsters add to the fun in this large team Limited Time Mode. Fortnite and the NFL are teaming up for the ultimate football face-off. NFL themed Outfits debut in the Store starting November 9 at 7 PM ET. Find out more in our blog. Jump into the fight with two new Heroes and battle it out against Vlad with a brand new weapon, the Candy Corn LMG! Monsters have invaded the Battle Royale island! Two teams will battle it out as Cube Monsters monsters join the fight. Defeat the other team to earn a Victory Royale. Two teams of 32 players. Eliminate the other team to win. Monster spawners are scattered throughout the map and also appear each time the storm closes in to a new circle. Monsters can drop weapons or ammo when destroyed. Gold monsters and monster spawners drop Legendary items when destroyed. Blitz is a faster-paced version of Battle Royale. The match begins with the storm moving towards the island, and the delay between each circle is shorter than normal, creating matches that are 15 minutes long or less. The map also has extra loot and resources. Profile Stats count in this mode, so fight hard for the Victory Royale! The storm is already moving in at the beginning of the match, choose your landing spot carefully! Wait time between storms is significantly shorter than usual; maximum match length is 15 minutes. Increased materials found on the ground from 30 to 60 per instance. Increased number, spawn rate & the descent speed of Supply Drops. Increased number of llamas spawned by 4x. The Pumpkin Launcher has been reverted back to the standard Rocket Launcher. We've reduced the spawn rate of Balloons from 12.2% to 2.3%. Storm max damage cap changed back to 8 damage from 10 damage. Players hit by a Boogie Bomb while holding Balloons will no longer have physics issues. They will now properly drop the Balloons. 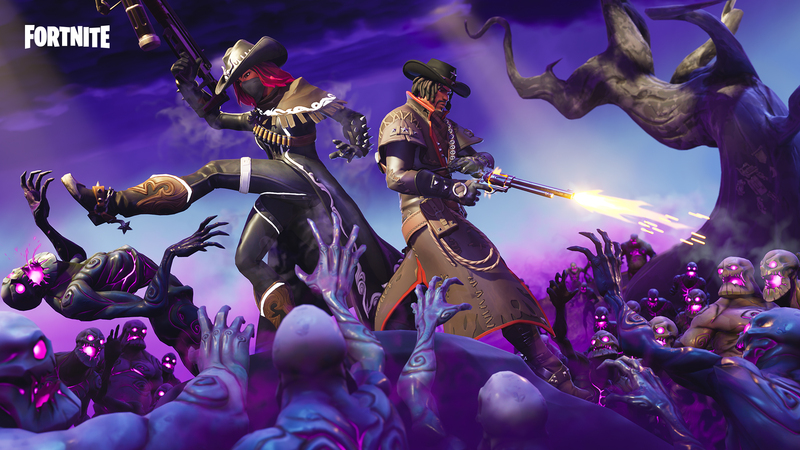 Fortnitemares Part 2 quests are now available! Complete the epic storyline of Hexsylvania. Now includes the Vlad miniboss and the final fight to put him to rest. Fixed an issue where the quest Supply Run would improperly launch players into Hexslyvania resulting in quest items not spawning. Fixed an issue where two survivors could possibly spawn next to each other in the same camp. A wild Ninja that becomes more fearsome and energetic at night. Available in the Event Store November 7th at 7 PM EST. Nightstalker - During Evening and Night, gain 25% bonus movement speed. Midnight Stalker - Increases the movement speed bonus of Night Stalker by an additional 25%. Abilities cost 50% less energy during Evening and Night. Uses Phase Shift to steal health from enemies. Available as a quest reward from Fortnitemares Part 2. Phase Siphon - Phase Shifting through enemies deals 11 base damage and heals 6 base health. Super Siphon - Increases the healing of Phase Siphon to 32 base health. Fixed an issue that caused players to appear in your lobby even after they have left. This may have caused incorrect power level restrictions on missions. The Candy Corn LMG is now available as a quest reward from Fortnitemares Part 2. A heavy, festive weapon with a huge magazine full of candy shaped bullets. Most effective at mid-range engagements when aiming down sights from a fixed position. Eliminating enemies with this weapon can spawn healing candy pickups. Reviving defenders will no longer leave them indestructible but unable to shoot or take any action. Re-summoning a revived defender will no longer leave an invisible, indestructible copy of the defender behind. Added additional sounds for Vlad Taker and ambient sounds for his coffin. Updated Atlas Victory sequence movie sound mix. Fixed multiple volume and missing sound issues with the Atlas. Fixed mix issue with Lars music suppressing ambient music. Fixed sound playback issues with the Flamegrill trap. Fixed issues with Frontend reward music not playing consistently. Fixed audio issues with active encampments not triggering. Just like Papa used in France! Get ready to ignore the monsters all over again! This is what happens when people don't vote!